The team huddles during a time out as they strategize for their comeback. “We worked really hard on keeping our nerves to a minimum,” said Sammie Sheppard ‘20. 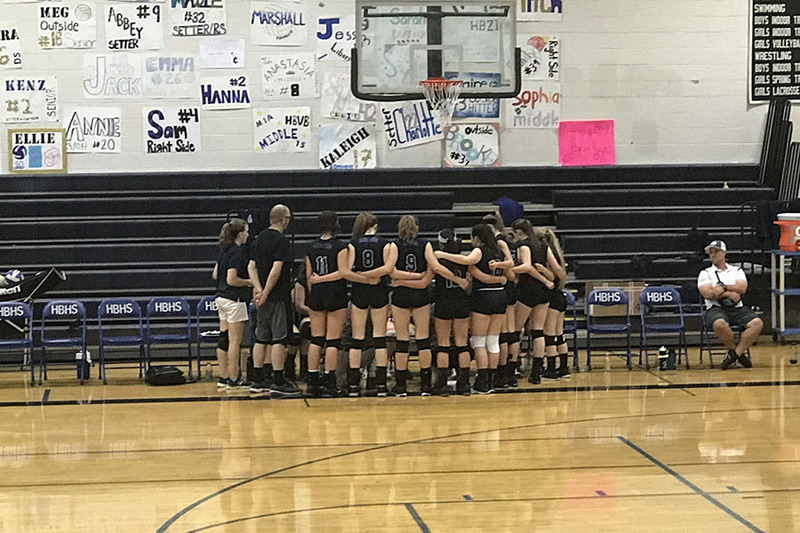 The girls varsity volleyball team played Concord High School at home in an intense match Wednesday, September 25. 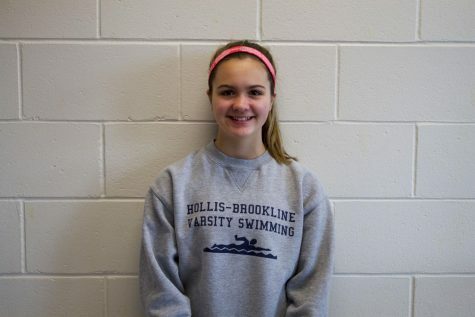 Hollis Brookline swept the match 3-0, once again proving their strength as a team. In the first set, the score was very close at 25-22, keeping spectators on their toes. Hollis Brookline crushed Concord in set two with a score of 25-15. In the third set, Concord was in the lead, but HB came back for the win at 25-14. Sammie Sheppard ‘20, the team’s libero, had ten digs during the match while the team’s right side, Elizabeth Atkinson ‘19, had seven kills. Hollis Brookline’s record stands at 11-0 as they head into their last games of the regular season. They are the only remaining undefeated team in the division.